You are here: Home / Law / Why should you contact cerebral palsy lawyers for birth injuries? Cerebral palsy is the most common disability in childhood. It affects close to 3 to 4 births every thousand in the US. According to the experts, around 20% of the existing cases of cerebral palsy were preventable. It is a group of disorders that affect the balance and movement of an individual. It usually occurs due to brain damage or inadequate oxygen in the brain of the baby during birth. This damage is generally irreversible, and it can cause a lifetime of increased medical, educational and specialized care expenses. When should parents sue for medical malpractice during childbirth? Problems with the placenta, umbilical cord and uterus can cause cerebral palsy. Other problems usually include bleeding in the baby’s brain and blood flow problems in the mother. When the doctors and other medical professionals fail to notice these conditions, it can result in oxygen deprivation in the baby’s brain. Even the failure to see and monitor the mother’s and baby’s heart rate can lead to delivery complications. Infections in the mother like Group B Strep (GBS), UTI, bacterial vaginosis (BV), herpes (HSV) and chorioamnionitis and villitis can lead to premature birth. Prematurely born infants have weak lungs and heart muscles. They can suffer from oxygen deprivation unless there is proper medical care. 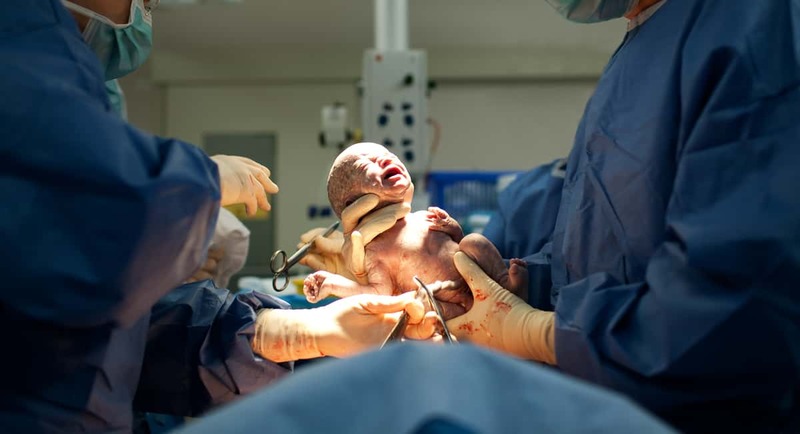 The inability to perform emergency C-section when necessary can also lead to cerebral palsy in the child. When cerebral palsy occurs in the newborn due to the incompetence or negligence of the medical professionals in-charge, experts usually refer to it as preventable cerebral palsy. If the actions or inactions of medical professionals has caused your child’s injury and led to your emotional distress, you may have the right to sue. Legal options allow parents of a child with preventable cerebral palsy to sue for damages. The cerebral palsy Birth injury lawyers Minneapolis have been helping thousands to obtain compensations that can allow the parents and their children to secure their future. Finding the right legal team can change the future of your child. The compensation you receive can help you pay for your child’s initial medical care, tests, and medicines. It can also help you find the best education options, specialized therapy and training options for your special one. What are the necessary components of a birth injury lawsuit? There was a medical responsibility – all medical professionals have the duty to care for their patients. They should provide care and attention that meets the state’s medical standards. That translates to medical care than any other similarly qualified professionals should provide in a similar situation. There was a breach of medical duty – when a medical professional fails to meet the accepted medical standards of care, patients and their loved ones suffer. Not adhering to their duty of care is a breach of his or her duty. It can include the failure to perform diagnostics tests, or the inability to act on time. The breach of the duty of care led to your child’s birth injury – your attorney should be able to attest that the acts of the medical professional led to the injury of your child. Birth injuries can be evident immediately after birth or can appear after a couple of days. Proving liability is the most important thing here if the cerebral palsy was preventable. Your newborn’s birth injury resulted in increased medical expenses – the claimants should be able to prove that their child’s diagnosis and treatment increased their medical costs. Their unwarranted pain and suffering should also feature in the claims for compensation. Without the assistance of an experienced medical malpractice attorney, it is almost impossible to draft a malpractice lawsuit with accuracy. Why should you fight for maximum compensation? If you want to file for recovering maximum medical expenses, you should keep track of your child’s medical expenses. Pain and suffering – depending on the nature of your child’s birth injury, the compensation for pain and suffering will vary. Most parents also claim compensation for the emotional trauma and suffering their child’s injuries have caused them. Since it is difficult to quantify emotional trauma and physical suffering, working with a team of trained attorneys and medical professionals is always imperative. Diminished quality of life – any parent wants the best opportunities for their child. However, a child with cerebral palsy has to overcome numerous hurdles to lead their daily lives. One might even say that they are likely to experience a diminished quality of life due to their special needs. You can obtain the compensation that aims at making up for the significant loss. Cerebral palsy lawyers work tirelessly to get the necessary healthcare for families across the state. If you or your child has suffered birth injuries, it is time to give the best birth injury lawyers in your state a call.